Having suddenly experienced an epiphany about how much food we’ve been wasting – I’ve been discovering ways to use up food that would usually end up in the bin. 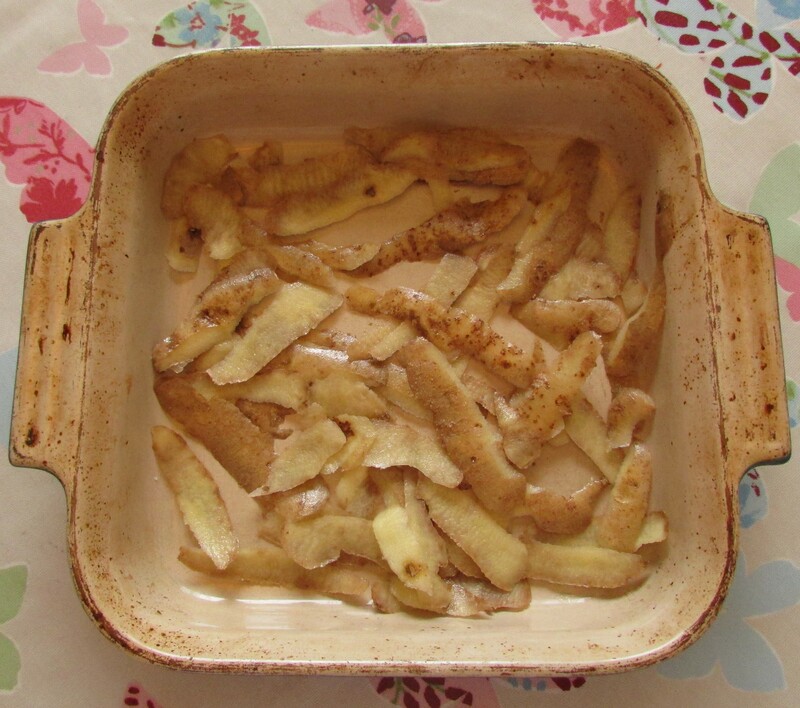 Check out my potato peeling crisps, food waste soup and home made focaccia – they’re all delicious! This cake is a take on Nigella’s clementine and almond cake, but instead of using whole fruit, we’ve been saving up our orange and lemon peels from the past week. All you need to do, is to boil the skins of the fruit for 30 minutes until they are lovely and soft. Then blitz them into a fine pulp. Now add them to any plain cake recipe you want jazzing up. For example, you could make a classic Victoria sponge and add the peel and a simple butter cream icing. 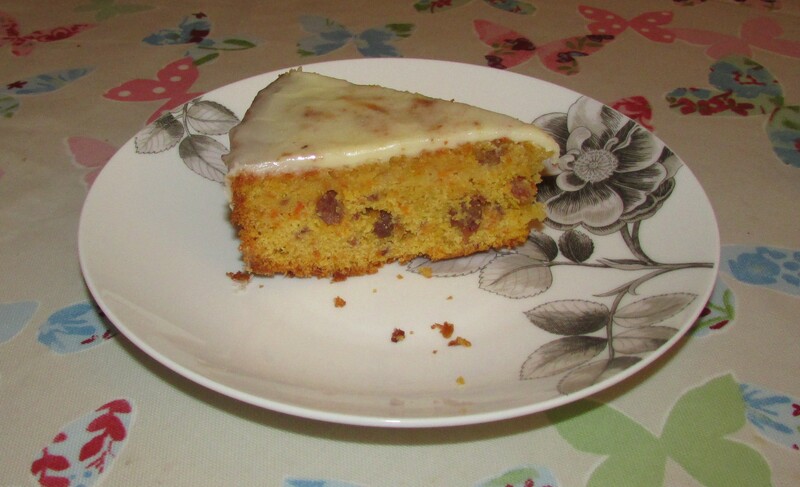 Or how about trying a Spanish orange and almond cake with a runny icing glaze. As you can see in the picture to the right, I’ve even added carrot peeling and raisins to the mix for a more classic carrot and orange cake. The cooked peel adds a beautifully moist and zingy quality that fruit juice alone cannot fulfil. 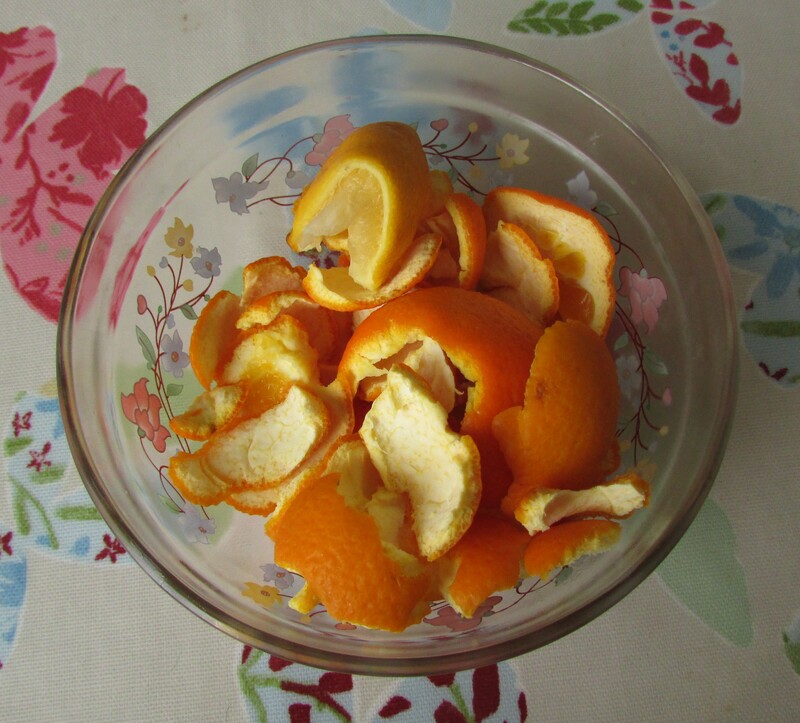 Either way, it’s a perfect way to use up your old peelings and can even count as one of your five a day! This entry was posted in Bargain Bites, Food scrap meals on February 14, 2015 by carolinementzer. The problem with living on a budget is that you become obsessed with food waste. This is a good thing really, but does make me sad when I have to throw something perfectly edible away. Now that we’ve gone local and organic with our veg, I’ve already stopped peeling my carrots and potatoes in favour of scrubbing. But when I’m making mash I still peel as my daughter won’t eat mash with lumps in. It’s been breaking my heart throwing away these edible potato skins especially as most of the nutrients in vegetables lie just below the surface. 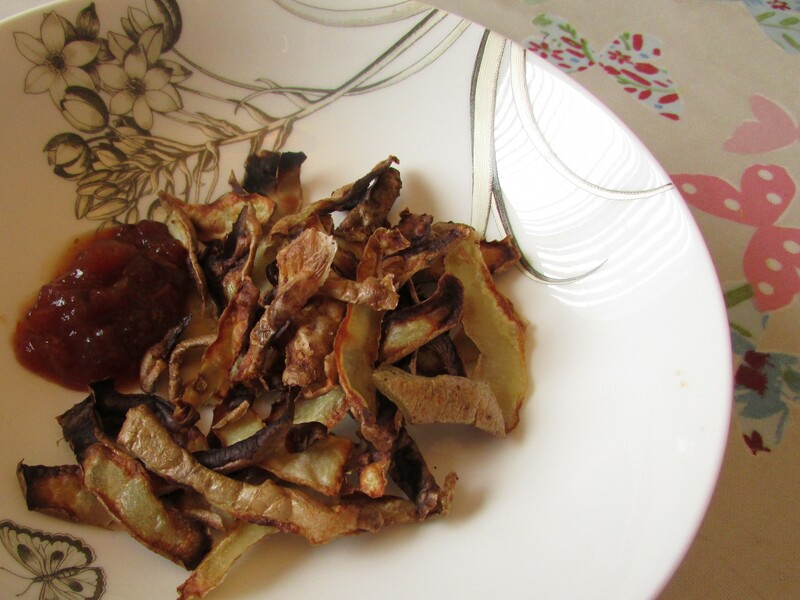 We’ve been missing crisps this month, so I thought I’d attempt a home-made healthy version using the left over potato skins tossed in olive oil and sea salt and roasted in a hot oven for 10-15 minutes (or until crispy). Drain off the juice from one tin of tomatoes and then chop the tomatoes roughly. Finely chop 1 onion, 1 clove of garlic and 1 small red chilli. Place the tomatoes, onions, garlic, 100g of castor sugar, 2 tbsp of cider vinegar and 1 tsp salt in a saucepan and bring to the boil. Reduce to a medium heat and gently simmer for 15-20 mins until it’s a sticky chutney. Spoon into a sterilized jar and seal. Or if you’re like us – serve immediately with warm potato skin crisps. A yummy Saturday afternoon snack! I’m struggling to put a cost on potato skins as they would’ve usually ended up in the food waste. But I would imagine this recipe costs less than 50p to make. And if you’ve got squashy tomatoes at the back of the fridge that need using up – even better! This entry was posted in Bargain Bites, Frugal family recipes on January 31, 2015 by carolinementzer. First roast the baby squash whole in the oven for about 40 minutes to 1 hour. 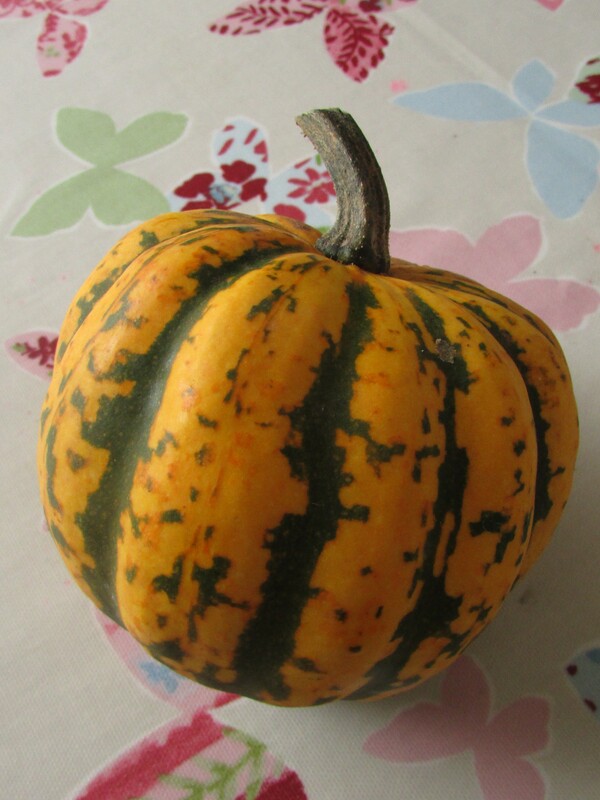 Once soft and squidgy allow the squash to cool a little then cut it in half and remove the seeds without losing too much of the flesh. Whisk 3 eggs with 200g of sugar until light and fluffy. Melt 100g of dark chocolate. Add the warm squash flesh (about 150g) to the melted chocolate and stir vigorously until completely combined. Add 40g of ground almonds to the sugar egg mixture (you can make your own by blending almonds or buy them already ground). Add 40g of flour to the mixture. Finally add in the chocolate pumpkin purée. Whisk everything really well together until the consistency is smooth. Grease a 20 x 30 cm baking tray very well and pour the mixture in. Bake in a pre-heated oven (175°C/350°F) for about 25-30 minutes, test with a toothpick to make sure it’s cooked through. Leave to cool before cutting into 24 chunks – delicious and (apart from the sugar) pretty healthy too! This entry was posted in Bargain Bites, Frugal family recipes on January 30, 2015 by carolinementzer. I like to make a batch of something sweet for the week, and this is a family favourite. 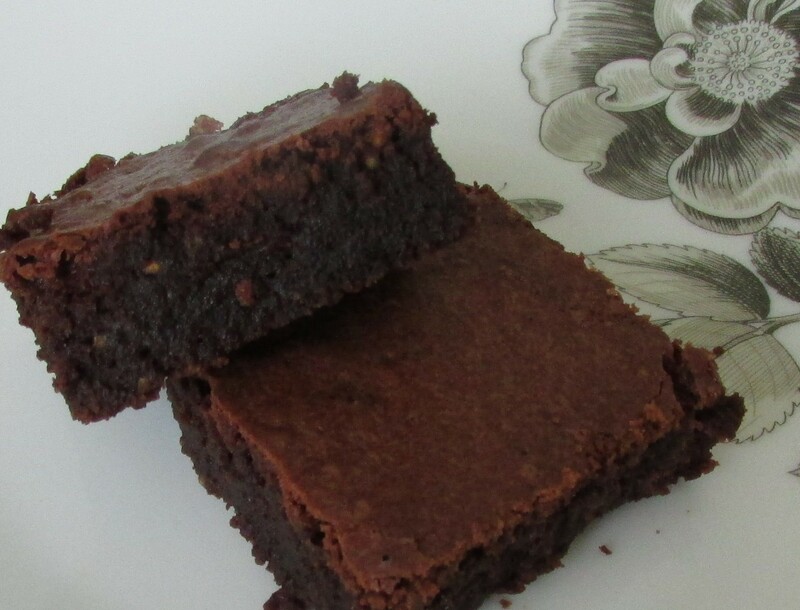 Now, I know that chickpeas aren’t supposed to go with chocolate, but this recipe is one of the best brownie recipes I have EVER found and nobody can tell the difference! I’ve tried it out on many different friends and their children and it is always a hit. Occasionally, I may put some nuts, raisins, dried cranberries or cherries in to create some texture, but they are seriously pleasingly decadent just on their own. Melt 100g of dark chocolate with 150g of butter. Whisk 3 eggs with 200g of castor sugar. Add 80g of chickpea flour and 3 tbsp of cocoa powder. Finally, pour the melted chocolate/butter mixture into the egg/flour/sugar mixture and stir well. Grease a 20 x 30 cm baking tray very well and pour in the mixture and spread evenly. Bake in a pre-heated oven (175°C/350°F) for about 25-30 minutes, test with a toothpick to make sure they’re cooked through. Leave to cool before cutting into 24 chunks – delicious! This entry was posted in Bargain Bites, Frugal family recipes on January 22, 2015 by carolinementzer. We love chocolate, and have we’ve been missing it these last 2 weeks of budget eating. Better still I love the combination of beetroot and chocolate, but struggle to get my daughter to eat beetroot alone, so when we got some in our Westmill Organics veggie box this week I jumped at the chance to make these delicious fairy cakes. 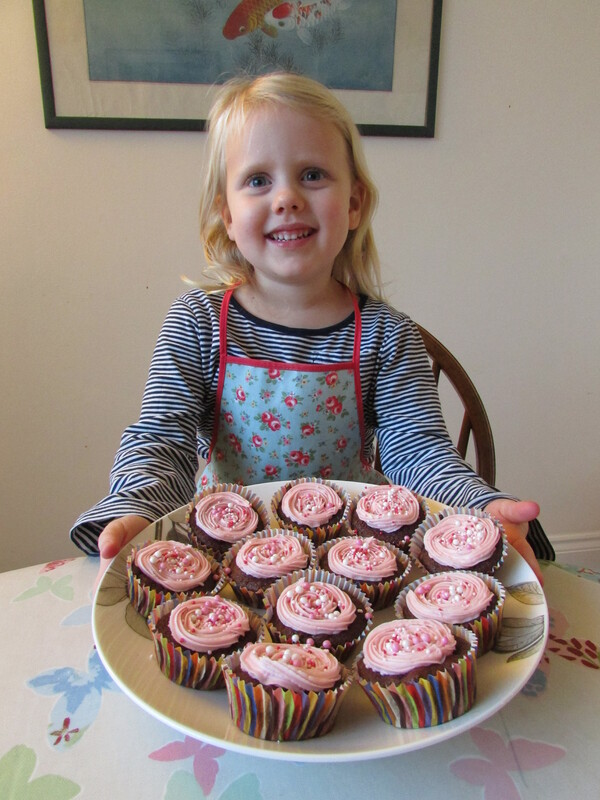 With friends coming for tea this weekend it was the ideal opportunity to put our aprons on and get baking. One of the best things about beetroot is the way it can turn white icing a glorious pinky purple colour! Beetroot is an exceptionally nutritious and overlooked vegetable; It’s beautiful colour demonstrates that it is full of vitamins and minerals and protective antioxidants essential for health. Although the leaves have always been eaten, historically the beet root was generally used medicinally for a range of ailments, including fevers, constipation and skin problems. It’s a good source of iron and folate (naturally occurring folic acid). It also contains nitrates, betaine, magnesium and other antioxidants (notably betacyanin). Begin by whisking 3 eggs with 100g of sugar until fluffy. Melt 100g dark chocolate with 50g of butter. Stir in the chocolate plus 200g of fresh grated beetroot, 100g of ground almonds, 1tsp baking power and 2 tbsp of cocoa powder. Spoon into 20 fairy cake cases and bake for 20 minutes on 200C. Choose your favourite icing. 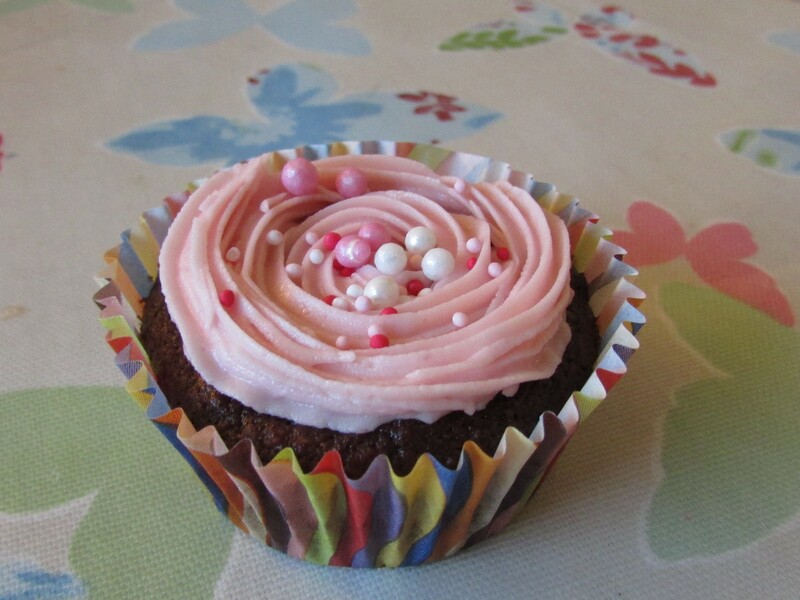 I like butter icing coloured with beetroot juice, but chocolate icing also works really well. If you can resist temptation, they taste even better after a night in the fridge. Make sure any cake containing vegetables is stored in the fridge to keep fresh. Getting veggies into kids has never been so much fun! I’d usually make 12 muffin sized cakes but opted for 20 smaller fairy cakes so they’d stretch further. Sweet potato also works really well in this recipe. 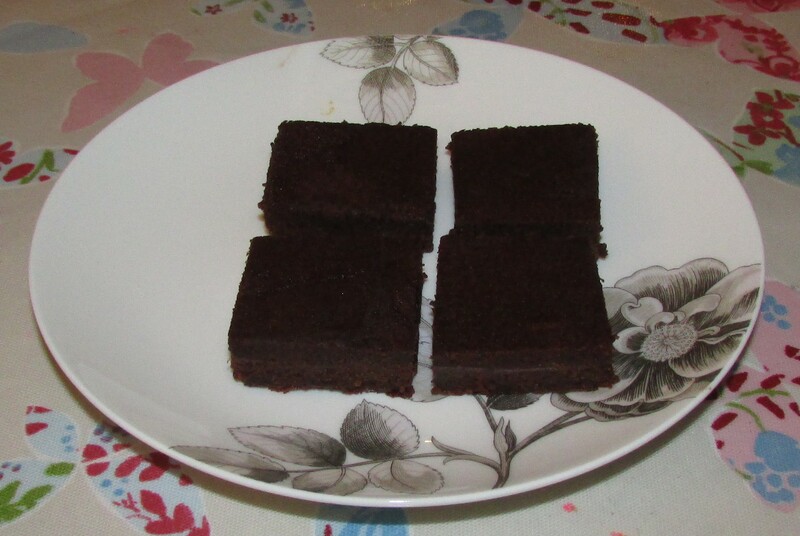 Or sometimes I do a combination of both – 100g beetroot and 100g sweet potato – the results are light, moist and fluffy. This entry was posted in Bargain Bites, Frugal family recipes on January 19, 2015 by carolinementzer. We love oats at home and eat porridge most days for breakfast. It’s warming in the Winter weather and keeps you full until lunch time. Oats are a modest grain yet highly nutritious! One cup of oats will supply nearly 70% of your daily needs for manganese, a mineral that helps enzymes in bone formation. You’ll also get a generous helping of vitamin B1, magnesium and potassium. Among all grains, oats have the highest proportion of soluble fibre. This type of fibre absorbs water and substances associated with high blood cholesterol on transit in the gut. Studies show that people with high cholesterol who eat just 3 g of soluble fibre per day can reduce their total cholesterol by 8%! Also good for digestion, this insoluble fibre in oats sweeps like a broom through the intestines, moving food effortlessly along and helping to prevent constipation. Studies show that people with reflux and heartburn who eat a high fibre diet experience fewer symptoms. Combine all the ingredients in a bowl and mix thoroughly. Line a 9 x 15 inch baking tray with baking paper. 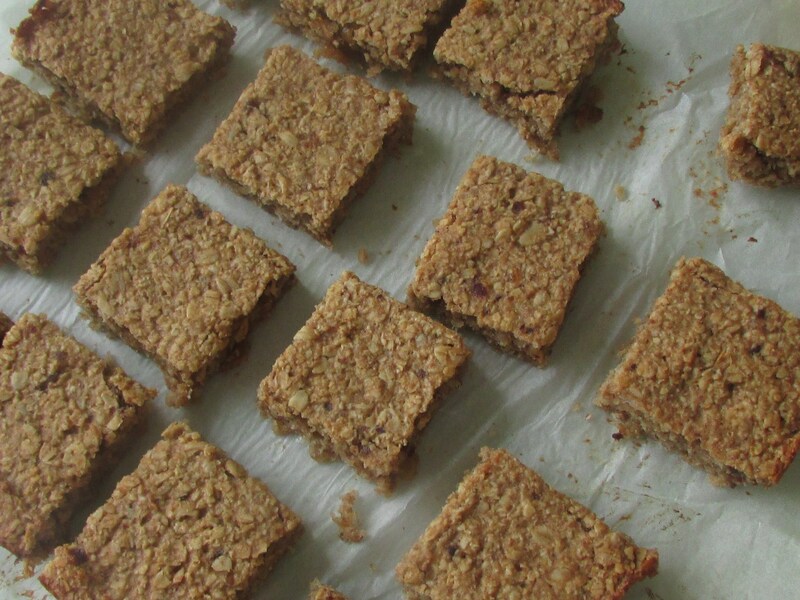 Press in the oaty mixture until spread evenly over the baking tray. Place in a pre-heated oven (gas mark 5, 190C) for 20-25 minutes or until golden brown all over. Allow to cool before slicing into 24 chunks. 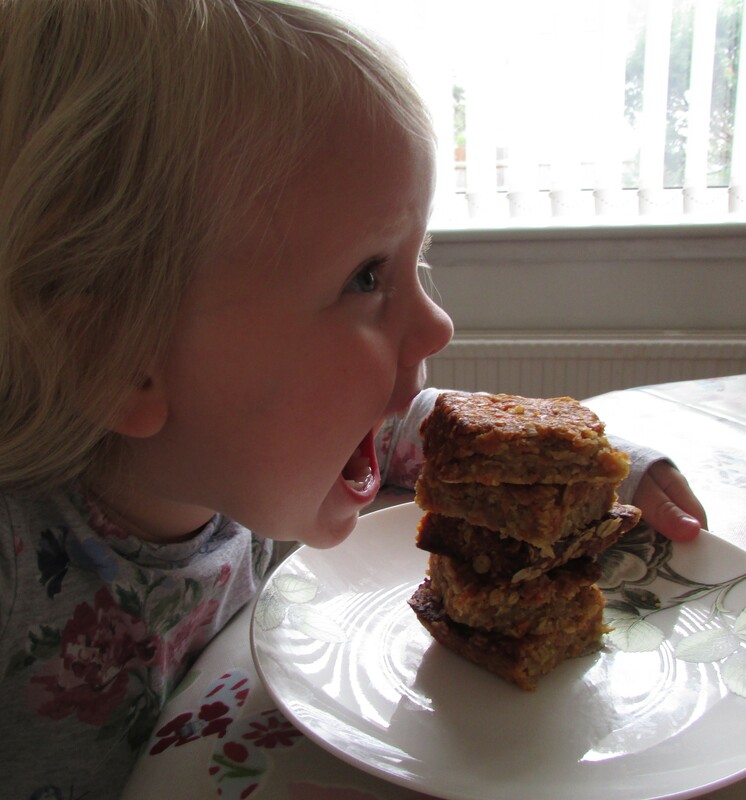 Sometimes I like to add 1 grated carrot to the mixture, it gives the flapjacks a beautiful orange colour and contributes to our 5 -a-day! How are we doing on Budget? This entry was posted in Bargain Bites, Frugal family recipes on January 8, 2015 by carolinementzer.